Tom Ricketts is a smart, likeable guy. He talks a good game for the most part, but most of what I hear lately has very little to do with winning baseball in 2010. I heard a Lou soundbite from the Cubs Convention: ‘We have a good team up here in Chicago’ he said. And Lou is absolutley right. The 2010 Cubs appear to be a good – not great – team. They have some good players, if they play up to expectations. But with most of the off-season additions so far having been by subtraction (Bradley, Miles & Gregg all gone), I haven’t seen or heard much to indicate anyone expects to win anything this year. 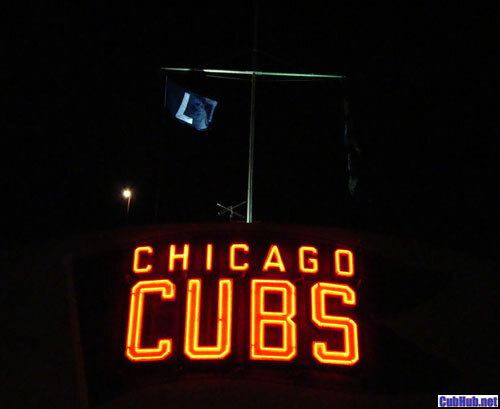 The talk from Ricketts, Crane Kenney, and the overall takeaway message from the Cubs Convention have all been about improving Wrigley, wider concourses, better food selections, bathrooms, moving the weight room, the Triangle Building, and whether to raise the “L” flag when the team loses. I’m not hearing anything about how this team is going to win the division and win the playoffs. Jim Hendry seems to be counting on kid pitchers stepping up, Ted Lilly to come back 100% in May, and Carlos Zambrano to suddenly mature into the “good” Z. As was typical under the Andy MacPhail regime, this team is built to be competitive, and hopefully catch lightning in a bottle by hitting the jackpot on a rookie and getting career years out of all the veterans. It all simply can’t come together that way – not all at once as this plan would need to do. The way things stand now, this team will probably end up over .500 – a mark of a “good” team, but not a winner. I hope the brass at 1060 W. Addison have a bigger plan in place that just hasn’t revealed itself.